While my ears would say we're hopelessly lost by the amount of Polish that swirls around the atmosphere, my legs would tell you that we're getting our bearings in Krakow. While my ears would say we're hopelessly lost by the amount of Polish that swirls around the atmosphere, my legs would tell you that we're getting our bearings in Krakow. Walking tours, bike rides, and aimless ambling have been leaving their impression on me, and my calves. In a country whose geography is quite flat, I somehow have managed to navigate an absurd amount of stairs, hills, and depths in a week. Thankfully all resulting in cool experiences- like the wow-worthy, limestone-lined, hidden gem Zakrzowek Lake in the middle of town or the lengthy excursion through Oskar Schindler's factory (of Schindler's List fame). 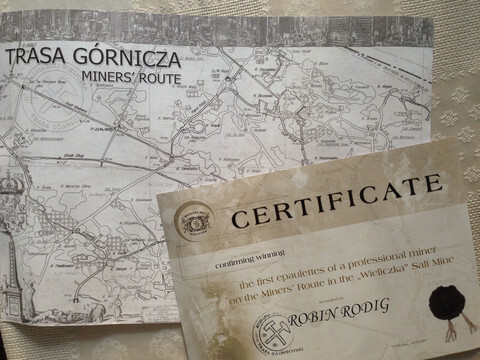 It was the escapade into the Wieliczka Salt Mine, however, that had my nerve descending. And descending we were. 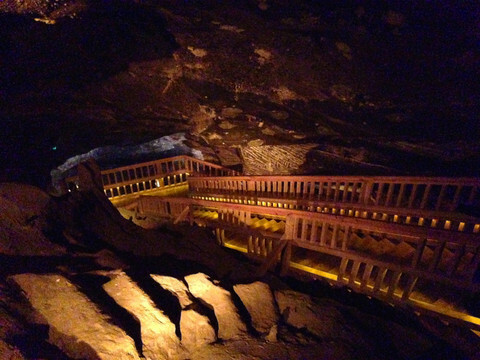 Down an initial 350-step staircase to an ultimate depth of about 440 feet. The chilled air was a steady 57 degrees. The street-level din waned away to a sometimes unnatural quiet. 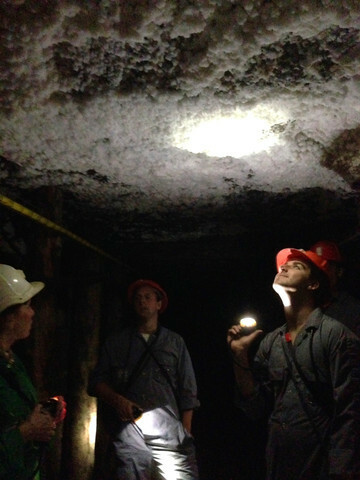 And the enveloping salt walls were literally lickable. 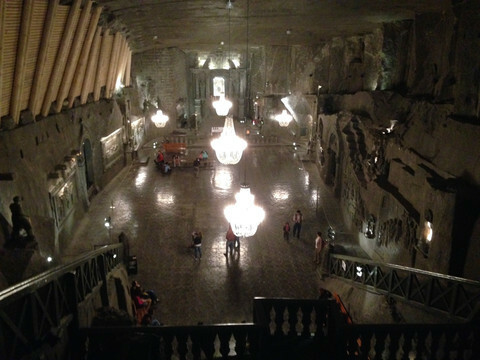 In this over 700 year old salt mine, you could just feel the city's mining history wafting through the corridors, chambers, and even chapels. Chapels, you say? That's right. With the finest of them being St. Kinga's; more commonly known as the salt mine cathedral. They actually hold mass down there on Sundays at 7:30a.m. If my jet lag wasn't so bad (wink, wink), I might actually try to roll out of bed for that one. Keep in mind that this cathedral, like the rest of the chapels, statues, and carvings along the 2+ mile route, is carved out of salt. Salt. Like an impenetrable, massive, cathedral-size block of it. 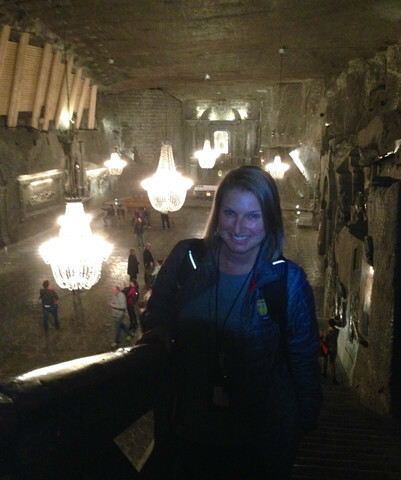 It puts things in perspective when you absorb the level of detail the miners and artists crafted underground over the centuries. But the salty good fun doesn't end here. 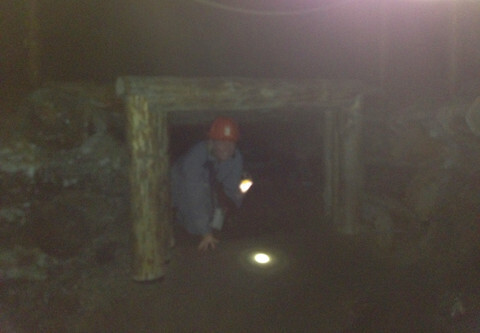 No, spending half a day underground wasn't enough for me. 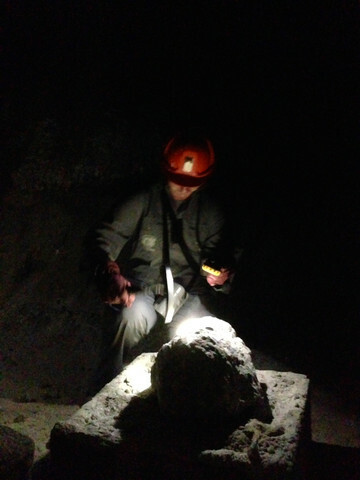 It wouldn't be an authentic mining experience without traversing another 2+ miles of the dark, brisk, eerily still tunnels of Wieliczka donning a full-length onesie, helmet, lamp and POG absorber (a respirator-like device just in case, oh, the latest methane test was faulty). The real-life mechanisms were intriguing. 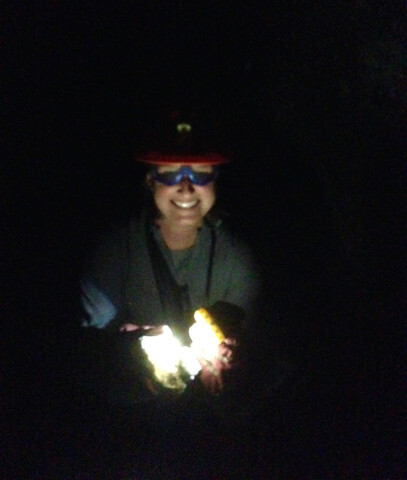 The stories of how the mine functioned were mind-boggling. And the labyrinth of passages (ripe for the best horror movie out there) was fascinating. I even mined my very own chunk of souvenir salt. If only salt was as valuable today as it was hundreds of years ago... What I mined would sure as heck provide a lot of peace of mind! 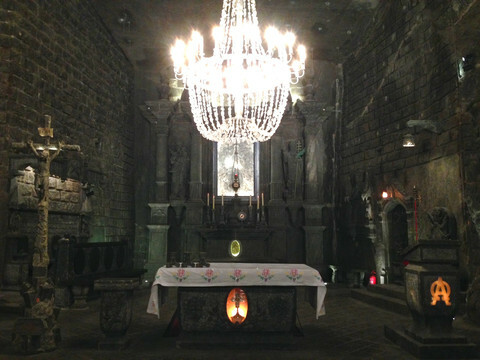 St. Kinga Chapel (salt mine cathedral) made entirely of salt. Even the chandeliers! St. Kinga Chapel. Again, all made of salt. 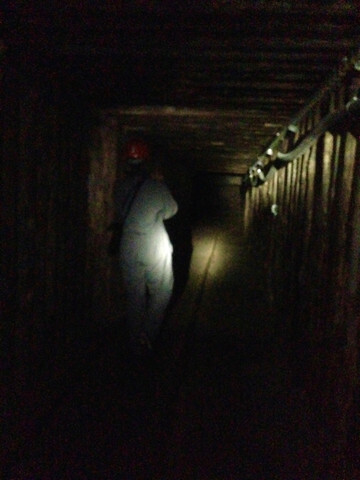 The dark corridors of the Miners' Route. It was tough to get a good, clear shot down there. Pure rock salt is translucent in light. My prized possession!